Institute of Professional Engineers (IPES) president, Matamu James Moeono, has reminded his peers of the importance of honesty, dedication and hard work at a welcoming ceremony for graduates with bachelor of engineering degrees. 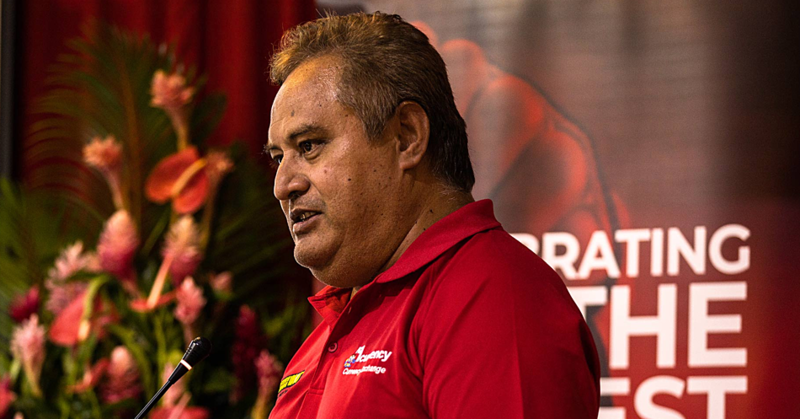 The IPES President echoed earlier opening remarks by the Prime Minister Tuilaepa Dr Sailele Malielegaoi who reiterated the importance of professionalism. “The Prime Minister opened the event with a few words by reiterating the professional code of conduct and ethics, common sense, and the need for a disciplinary process to discipline unprofessional IPES members. “The bachelor of engineering is a four-year degree and one of its core requirements is the ethics paper. It is assumed that graduates are well equipped in this area once they graduate and enter the work force," he said. Matamu said the professional development program (CPD) serves as a reminder to members who have forgotten the application of professional conduct and ethics in the work force. "The launching of their continuous CPD, especially for the corporate members (CPEng and Fellow) and emerging professional members (graduates with bachelor of engineering degrees) marks an important milestone in the development of IPES in terms of knowledge sharing and continuous education." 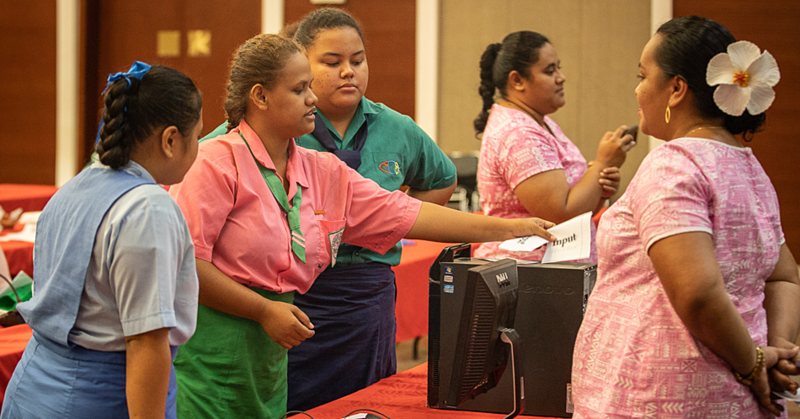 The well attended event was held at the at the Samoa Stationary And Books (SSAB) Conference Room, Togafuafua recently. 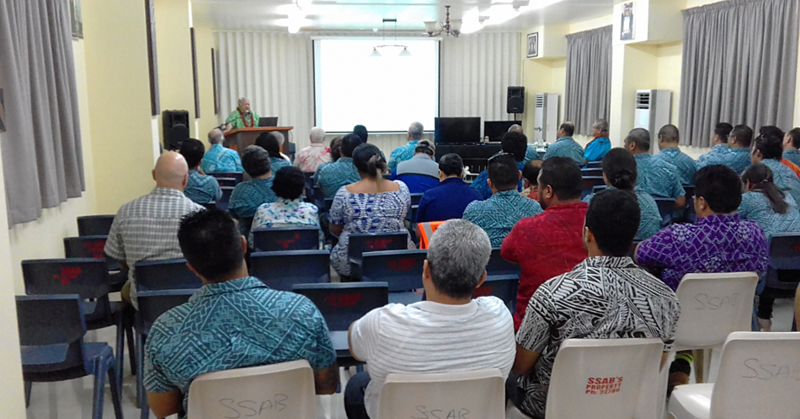 According to Matamu, the CPD encourages presentations by members as part of knowledge sharing and lessons learnt emerging from major infrastructure projects in Samoa, and highlighting engineering methods and design philosophies to resolve challenges encountered during project implementation. “It is envisaged that the program will keep members up-to-date with problem solving approaches, new technologies and new ideas while upholding in high regards the IPES professional code of ethics which is expected from its members," he added. Matamu said the CPD program is important in the development of IPES members in terms of their continued education, as there continues to be changes in technology, climate, population and local laws which justified the need for engineers to keep up with the changes. 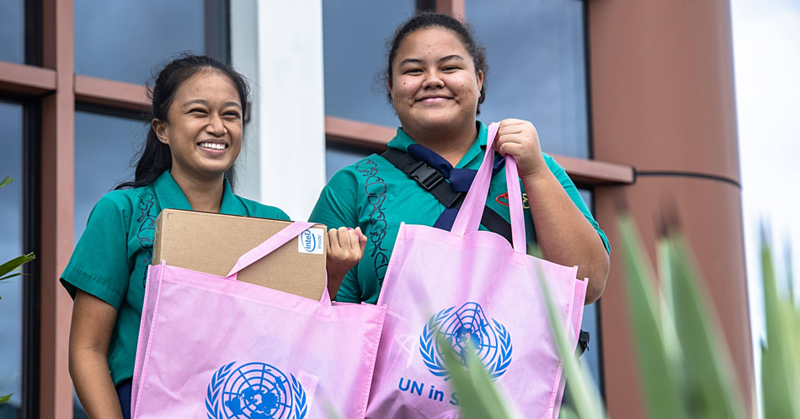 He said presentations that were done as part of the CPD program would enable their graduate members to learn, understand and become aware of the projects happening around them, and what technical methods are available to deal with them. “This is a great forum for our members to meet one on one and get to know each other, share ideas and knowledge and ask questions. This is also a good opportunity for our graduates to meet with, and learn from our fellow and corporate members who have vast experience in engineering. “This program is similar to what lawyers and accountants already have in place. I am very happy that IPES now has a similar program in place and we will ensure that CPD will be an ongoing event. In terms of integrity and ethical conduct, Matamu said he believes that the ethical values that are applied in one's own personal life such as commitment, passion, honesty, dedication and hard work are the same principles that should be applied in the work place. “IPES cannot train engineers to be ethical people as we cannot monitor our members 24/7. However, the CPD is the much needed stepping stone to encourage and remind our members about their ethics and integrity,” he said. At the event the IPES patron, Minister for the Ministry of Works, Transport and Infrastructure, Papali’itele Niko Lee Hang was present.